Microsoft Office Home and Business 2010 is the essential software suite for managing small businesses and working from home. Enhanced tools and features help you run your business, connect with customers, and organize your household more efficiently. Office Home and Business 2010 features new photo, video, and text effects for creating standout documents and presentations. New communication tools in Outlook 2010 help you stay in touch and organized. Office Home and Business 2010 makes it easier than ever for you to manage things in the office, at home, or in between. Manage your business more efficiently with flexible tools. Organize finances with Excel 2010 and get data analysis tools to make informed decisions at a glance. Share and edit documents with business partners, customers, or friends using Web-based versions of Word, Excel, and PowerPoint 2010. Manage projects and resources from a single place by organizing your information in OneNote 2010. Create professional-looking communications faster with easy-to-use templates in Word and PowerPoint 2010, then add polish with updated text effects, photos, or videos. Minimize inbox clutter with new conversation management tools in Outlook 2010. Manage contact information from anywhere with Outlook 2010 on any PC or your mobile phone. Organize and simplify your household routine. Help your child create high-quality class presentations using a variety of tools for adding video, photos, and text effects in PowerPoint 2010. Prepare and manage a budget easily with ready-to-use templates and analysis tools in Excel 2010. Connect with others, manage your calendar, and stay on top of your to-dos with Outlook 2010. 500 megahertz (MHz) processor or higher. 256 megabyte (MB) RAM or higher. 1.5 GB; a portion of the disk space will be freed after installation if the original download package is removed from the hard drive. 1024x768 or higher resolution monitor. 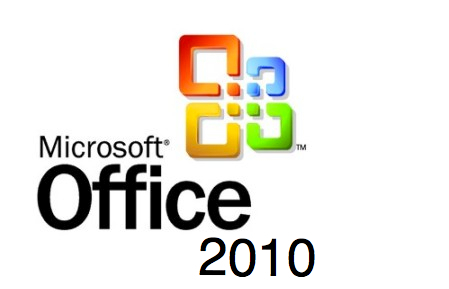 You don't need to replace hardware that is capable of running Office 2007; it will support Office 2010. Use of graphics hardware acceleration requires DirectX 9.0c compatible graphics card with 64 MB or higher video memory. Requirements and product functionality can vary based on the system configuration and operating system.